This photo was taken in Oxford on a day trip I took with the friends I made while abroad in England. We climbed up a ton of stairs to get to the top of University Church of St. Mary the Virgin and was amazed by this view. It was great to share one of those wow-I-can’t-believe-I’m-here-right-now moments with great people like my friend in this photo (funnily enough also named Emily) and the friends taking this picture. 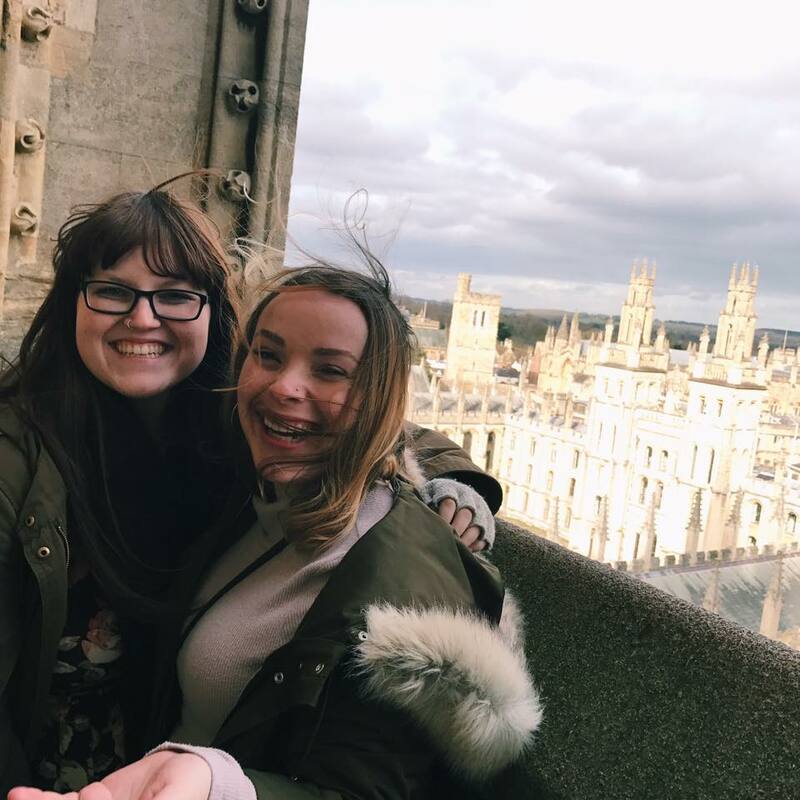 I am so lucky to have had this opportunity to not only live out my dream of going to England but to be able to do that with great, like-minded people.